Nirvana Beauty Laser Clinics offers a range of skin care treatments and skin care services to achieve younger looking skin and address your specific skin care concerns. 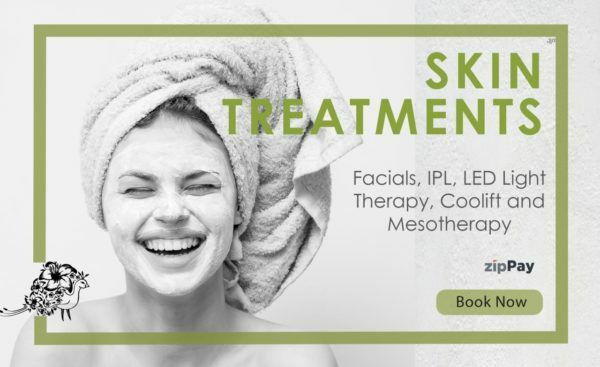 Whether you are worried about acne, stretch marks, uneven pigmentation, or signs of ageing, we have the solution for you at our skin care treatment clinic in Sydney. Get in touch with us and we will arrange for a one-to-one consultation with one of our friendly, professional Therapists. A Therapist will advise you on the best treatment, package, or course of skin care treatments for you. All our skin care services are non-invasive and allow you to achieve beautiful skin without the need for expensive surgery. If you are looking for anti-ageing treatments, consider High Intensity Focused Ultra Sound (HIFU). This treatment will tighten and lift the skin on your face and neck, promote collagen production, and stimulate muscle fibres to tighten and lift the surrounding skin. Or, the Coolifting Beauty Gun works to open the skin’s surface and allow active ingredients to penetrate, reducing the appearance of fine lines and wrinkles. Skin Needling Treatment is a form of Collagen Induction Therapy to smooth wrinkles, improve scarring and reduce the appearance of stretch marks. Mesotherapy Treatment combines skin needling treatment and an injectable formula. This treatment can help with scarring reduction or removal. After Mesotherapy Treatment, you can expect to enjoy more vibrant, smoother and fresher skin. With Dermapen Micro-Needling Treatment, skin needling creates micro-punctures in the skin and works to stimulate collagen production, tighten pores, improve muscle tone and reduce fine lines and wrinkles. Our other skin care treatments in Sydney include LED Light Therapy Treatment to help treat acne breakouts and soothe and rejuvenate the skin, Ipl Photo Rejuvenation to reduce the redness and dark patches caused by ageing, Non-Surgical Face Lifts, Facial Treatments, and Clinical Facial Treatments, including Microdermabrasion for softer, more youthful looking skin. Our Facial Packages are designed to address specific skin concerns, such as acne, wrinkles or uneven pigmentation. Each package consists of four treatments which are taken over the course of one, two or four months, depending on which package you choose.